Have you read a novel? You’ve surely grasped the idea and know what to talk about. And what about writing? The problem is that most of us find it too hard to express thoughts in a written form. This is what WriteMyEssays.com is for! 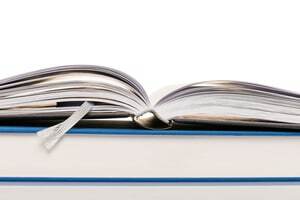 We offer affordable assistance in creating an amazing book report within the set time. It’s not that we suggest a piece that is to be handed in to a college professor. Our authors offer high-quality book reports that may be very helpful when you decide to complete a paper yourself. Everyone, who asks for a book report, deserves to know more about people, who will create a piece. To start with, far not every applicant can join the team of WriteMyEssays.com. Before hiring a freelancer, we make sure he/she is proficient in English (style, grammar, and punctuation), knows all basic citation styles (APA, MLA, Harvard, and Chicago) and can deliver a work of any format. Finally, an application essay should be completed to show whether skills and background are put into words professionally. As one joins the staff, his/her achievements are evaluated every fortnight. This allows us to have a better understanding of whether a writer is really good or fairly good, how many returning clients were provided and how often revisions are done. We select several pages completed in the course of two previous weeks and entrust them to a Writers Evaluation Department to know whether a penman should be up- or downgraded. Most customers plagcheck not know that each of writers checks all works for plagiarism before they are sent to the Personal Order page. It is done to ensure a low rate f copy-pasting (today it is 1%) and a high rate of quality (8.5/10). For this purpose, we use software that was created by our team. You can test it online yourself. We call it a Checker and upgrade it regularly to guarantee accurate results. After uploading a book report, you are given the results in the percentage of content plagiarized. If you have made at least one order at WriteMyEssays.com, feel free to use the Checker up to 100 times every month. Unregistered users can operate it only 5 times per month. Whatever texts are uploaded, the service does not store them in the database. When unoriginal materials are detected, provide the scanned versions of reports from your professor or turnitin.com. We promise to investigate the case within several days and offer you a way out. Proofs other than scanned versions are not viewed as valid. Check whether additional instructions do not conflict with specifications attached at the order-making stage. Major alternations are offered for money. As for Progressive Delivery option, the revision deadline extends to 21 days after the first confirmation. The company holds the rights to extend the final terms per penman’s request and only when the initial deadline allows doing it. A client is completely dissatisfied with a paper he/she got. This guarantee allows our buyers to remain safe and confident whatever topics are to be covered or sum transferred. You may be offered either a partial or full refund, depending on the issue encountered. If any other complications are faced, please contact our Support Team and find adequate help timely. We deliver papers on time in 95% of cases. Our help is more than cheap: we offer saving options, too. If you are looking for an agency ready to provide all these benefits, look no further. Our company has managed to become a reliable academic partner to thousands of students in need. Check the reviews to know what others think about us. Leave your own one to let potential customers decide whether our help is exactly what they need.